Set on 9.8 acres-mostly wooded, pond stocked with bass, bluegill, catfish, crappie and sunfish, perimeter fenced-all but the front yard. 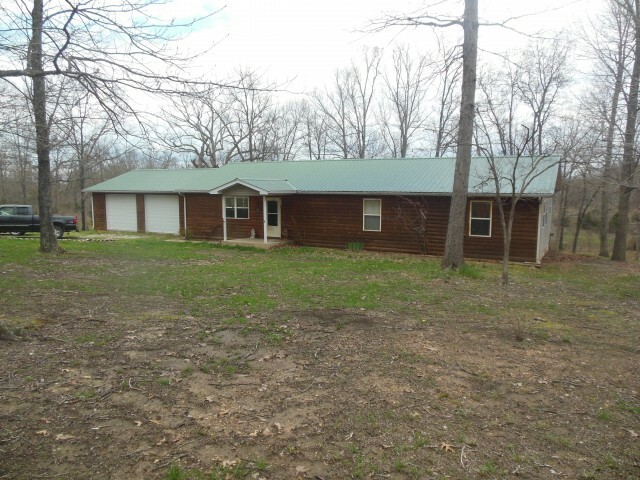 1800+ square feet ranch-style home with large rooms-lots of oak kitchen cabinets-2 full baths-24 x 10.6 deck overlooking pond and back woods . Huge shop/garage with double garage door and lean-to for machinery-outbuilding-great place for wildlife. Excellent buy at $135,000!